Northallerton and the Dales Mencap Society, formed in 1964, is an independent voluntary organisation entirely dependent on fund-raising and income generated from lettings and other activities. 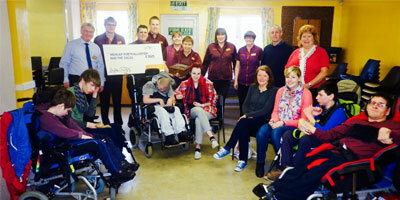 The Northallerton and the Dales Mencap Society is a registered charity affiliated to The Royal Mencap Society. We have close links with the North Yorkshire Learning Disability Partnership Board. The society provides facilities for a range of services for people with learning disabilities and the local community. It actively represents the interests of people with learning disabilities and their carers and families in the Hambleton and Richmondshire Districts of North Yorkshire. The Society promotes and maintains links with related voluntary groups and organisations for the benefit of all its members. By joining Northallerton and the Dales Mencap Society you can help to safeguard the future of the charity and take part in developing our work in the 21st century. Northallerton and the Dales Mencap Society is a registered charity (224222) working to provide facillities,services, advice and information for those with disabilities.